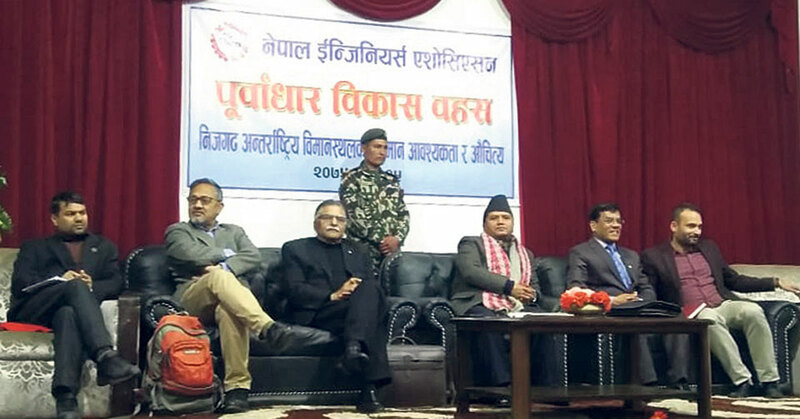 KATHMANDU, Feb 9: Tourism minister Rabindra Adhikari has said that all paperwork and other preliminary works for Nijgadh International Airport (NIA) will be completed within three months, and the construction will commence immediately afterwards. “When we started work, different forces started attacking from all sides. Earlier, there was no problem, but suddenly, when we are about to build the airport, everybody has started finding faults with it,” he added. He also argued that the project’s Detailed Feasibility Study and Environment Impact Assessment (EIA) ensure that it will be an environment-friendly project. “This project has not deviated from the concept of sustainable development. We will complete our work with accountability,” he claimed. The minister added that the government was mulling government-to-government (G2G) partnership on the project, but if there was no viable partnership, the government would build the project on its own. Speaking on the occasion, engineers recommended Adhikari to take the project forward along with further studies on environmental, financial, and technical issues. Using the western air route is needed to reduce the air congestion of Nepal for both national and international flights, he added. “Since 1980, the project continues to feature in the country’s periodic plans. But it has never got enough attention from the authorities,” he said. 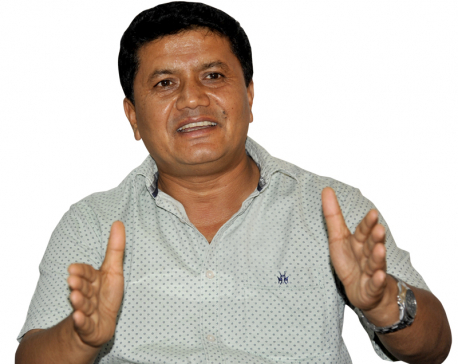 Likewise, engineer Suraj Raj Acharya said the country’s weak system of infrastructure development was affecting the project, adding that the SIA would be a game changer for the country. “Authorities should, however, ensure that the norm of sustainable development is followed and environmental issues are addressed in this project,” he said. 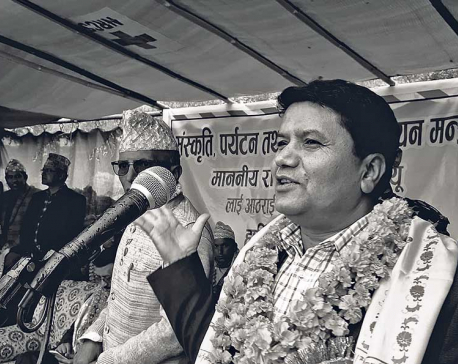 Former vice chairman of National Planning Commission Jagdish Chandra Pokharel asked the minister to ensure transparency in the entire process of implementing the project. He recommended the government to study the impact on wildlife due to the construction of the airport.